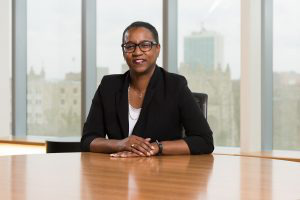 Dr. Stephanie J. Rowley, associate vice president for research in the University of Michigan’s Office of Research, has been named the next provost, dean and vice president for academic affairs at Teachers College, Columbia University, effective July 1. Rowley will succeed Dr. Thomas James, who served as the college’s chief academic officer for 12 years. Throughout her scholarship, Rowley has explored how parents’ social experiences, attitudes and beliefs affect the ways that they socialize their children, and how that process affects children’s motivation in school, according to a Teachers College release. Rowley received a bachelor’s degree in psychology and African American Studies from the University of Michigan and a Ph.D. in developmental psychology from the University of Virginia.